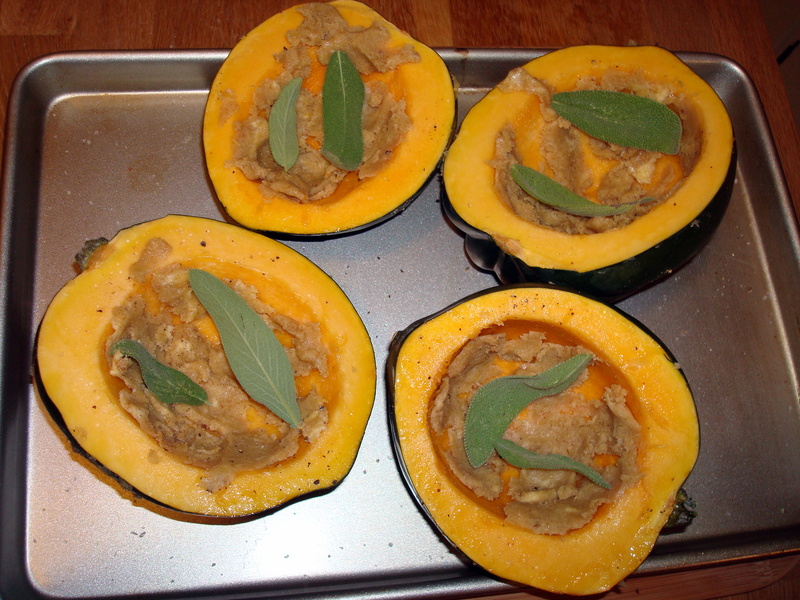 After the squash is cut in two (cut into fourths if the squash is particularly large) and has been seeded, fill it with a combination of butter, cinnamon, nutmeg, brown sugar, salt, pepper, and fresh sage leaves. In the past I have also used a similar Tyler Florence recipe that also includes Amaretto and crushed up vanilla wafers that is also quite good. Take your pick. Roast in the oven until tender and enjoy. 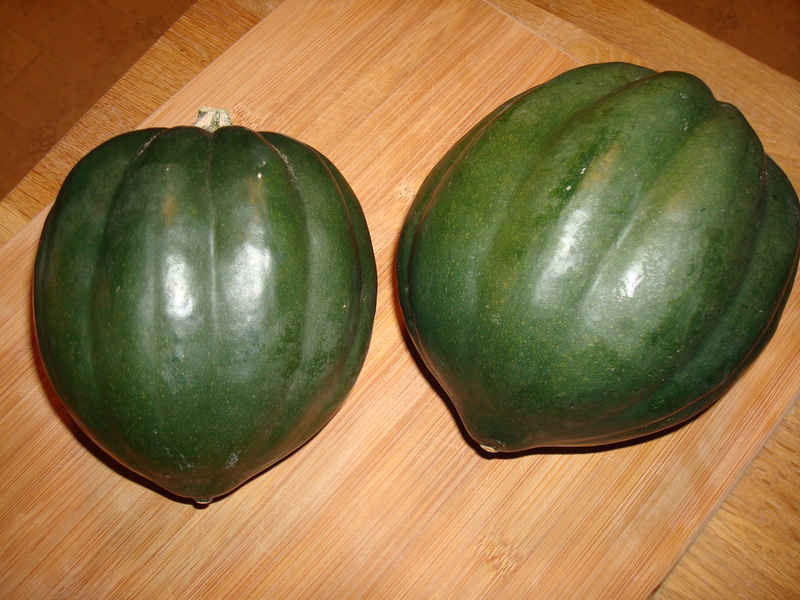 Split squash in half through the equator and scrape out seeds with a spoon. Set the squash halves (cut sides up) on a rimmed baking sheet and sprinkle with salt and pepper. Stir melted butter, brown sugar, and nutmeg in a bowl. Brush mixture onto cut squash halves. Sprinkle coated squash halves with sage leaves. 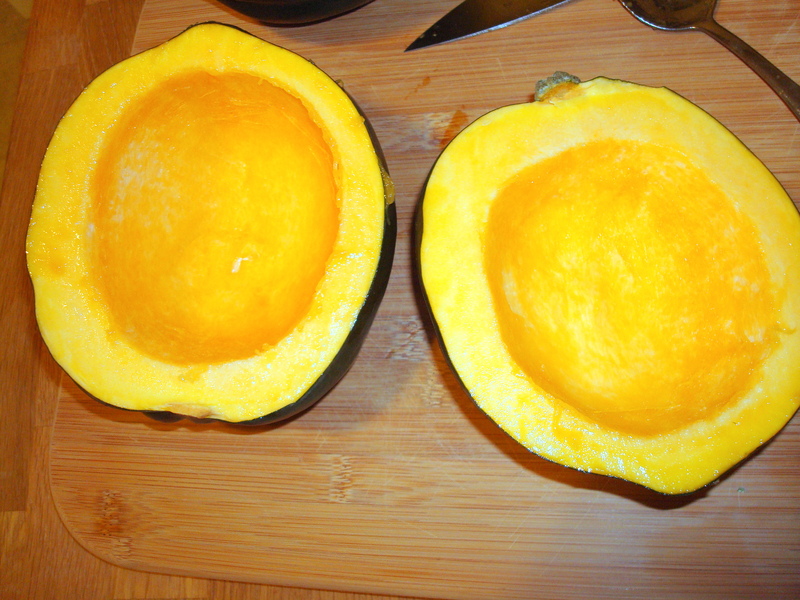 Bake for about an hour or until squash halves are tender. So gonna try to do this, if my oven will cooperate. Thanks! Nothing better than baked accorn squash. I’ll be trying this recipe.